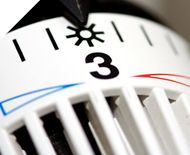 Our contract covers the service and maintenance of your central heating system seven days per week, 365 days per year. Other gas appliances within your property will be visually inspected at the time of the boiler service. Our agreement will commence with you when, following a satisfactory initial inspection, we will contact you to confirm your application has been accepted. If you wish to supply us with a password or have any special needs, please let us know when you call. When we receive your application, we will arrange for one of our technicians to visit your property and inspect your central heating systems and any additional appliance you may want covered. If our technician discovers a problem with your boiler or central heating system or additional appliance we will inform you of the problem and how much it will cost to carry out remedial work, or offer you a different option pack that will not include the parts of your system causing the problem. If you do not wish to have remedial work carried out on the appliance or system we will be unable to cover it under our maintenance scheme. We reserve the right to reject any application at the initial inspection stage. Alba Gas will service and inspect your boiler and central heating system and any other appliances covered on an annual basis around the same time each year. Maintenance and repair, what’s covered? Note* If your boiler or appliances become obsolete we may be unable to obtain parts to make repairs. Labour required to repair your central heating system, gas fire or covered appliance. *note – one star service contract covers annual service and visual inspection of other appliances, boiler repairs are charged at £55.00 per visit including parts to the value of £100.00. Replacing or topping up your system inhibitor unless we have removed it. Replacing central heating boiler or appliances. Existing faults. We cannot be held responsible for the cost of repairs if they are design faults (unless we are responsible for the design fault) or faults that existed before you entered into an agreement with us. Pipes freezing due to adverse weather conditions or flood damage. Replacing boiler or appliance decorative parts. We may cancel your agreement in the following circumstances. If you give us false information. If we find something wrong on the first visit. If there are health and safety issues. 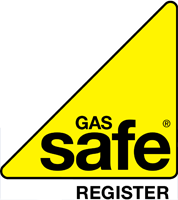 If your appliance or system is not gas council approved. If you do not give us access to your property if this is needed. If we are not reasonably able to find parts for your appliance or system. Our engineer will only work in your property if there is someone aged 18 or over there at all times. It is your responsibility to allow us access to your property. If we cannot gain access, we will not be able to carry out the necessary work and therefore you will need to arrange another appointment time. If you do not arrange another appointment or we cannot arrange access, your agreement will continue even though we have not been able to carry out the work. Our engineers are available to visit your home to carry out your annual service or repair between the hours of 8.30am until 5pm Monday to Friday. 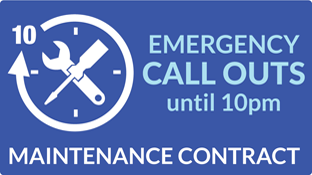 In the case of an emergency (gas escape, water leak or no heating) our engineers are available seven days per week untill 10pm, 365 days per week. 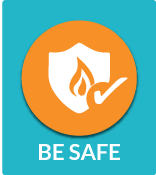 Please note: if you smell gas inside or outside your home, telephone Scotland Gas Networks 0800111999 and turn off your gas appliances and open windows if the smell is inside the building. ALBA Gas Ltd, office number 0141 445 4422, after hours number 07717377352. You must take reasonable steps to prevent any damage or breakdown of your heating system. We cannot be held responsible for neglect, damage or misuse of the appliances or the heating system. We may charge you for our engineer visit if we call and there is no fault with you boiler, heating system or any other appliance. Upgrades are changes to your system that will improve its efficiency or safety. The cost of upgrading your system is not included in your agreement. 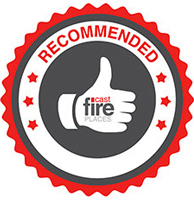 You can speak to our engineer regarding potential upgrades such as system power flush, system filters, scale reducers, carbon monoxide detectors, smoke alarms & heat detectors. Other examples of upgrades include replacing working radiators with improved models and replacing standard radiator valves with thermostatic radiator valves. There are products available such as Hive, Nest and Tado internet connected heating controls that allow you to control your central heating remotely. Your agreement does not cover these products. We may advise you that permanent repairs or improvements are needed to help make sure your appliance or system works safely (for example, to keep to gas-safe regulations, such as upgrading your ventilation to meet current standards). If you do not follow our advice, it may mean that we cannot meet all of our obligations to you under your agreement. In this case, your agreement will continue to run unless you tell us you would like to cancel, or we cancel. We will take all reasonable steps to source any parts required as soon as possible. We keep a stock of the most common boiler parts in our stores and engineers vans for combination and condensing boilers and have accounts with all the major parts merchants. In the event that we are unable to complete a repair on the first visit we will leave temporary electrical heater(s) until the parts are available. In the event of you having a new boiler or system installed or new pipework not installed by Alba Gas, you must update us with the make and model of the boiler or works carried out in order to ensure that we can provide the services under our agreement. The contract agreement will, unless we terminate it earlier, last for a twelve month period and for subsequent periods of twelve months thereafter. Either party may terminate the agreement by notifying the other in writing. If Alba Gas terminate the contract you will be entitled to a refund. If you terminate the agreement within the twelve month period you will be charged to the time the contract expires, any overpayments will be refunded to you. Our contract rates are set out in our published price list that is available in our brochure and Alba Gas web site. We will accept payments from you monthly,quarterly or annually in advance. Alba Gas will honour your contract provided it is in credit with us. Payments will be accepted by bacs, card, cheque or cash. You will have ten working days from the date you receive our acceptance letter in which to cancel the agreement. If you decide to cancel within this period you can cancel by contacting our office and we will provide you with a full refund. We will not carry out any work for you during this period (with the exception of your initial inspection by our technician) unless you specifically ask us to. In that case, you will be deemed to have waived your cancellation rights. 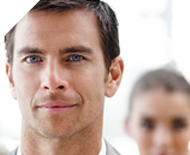 Alba Gas full Public Liability Insurance. Losses that were not foreseeable when the contract was entered into. Losses of a consequential nature such as damage to furnishings or carpets as a result of water leaks from your central heating system unless we are responsible for the cause of the damage. Loss or damage that was not caused by us or as a result of any breach on our part, such as damage caused by you or a third party, or faults within the system which existed prior to your entering a contract with us. For costs, losses and damages which are in the nature of insured risks such as damages caused by flooding, fire, freezing weather conditions, lightning, storms, subsidence, structural repairs, alterations, demolition, faulty workmanship, interruption of electrical supply, water or gas services. Any liability that arises as a result of any matter or occurrence which is outwith our reasonable control. The agreement shall be governed by and construed in all aspects in accordance with the laws of Scotland and the parties hereby accept the exclusive jurisdiction of the Scottish Courts. If you have any questions regarding any aspects of the contract, please contact us.